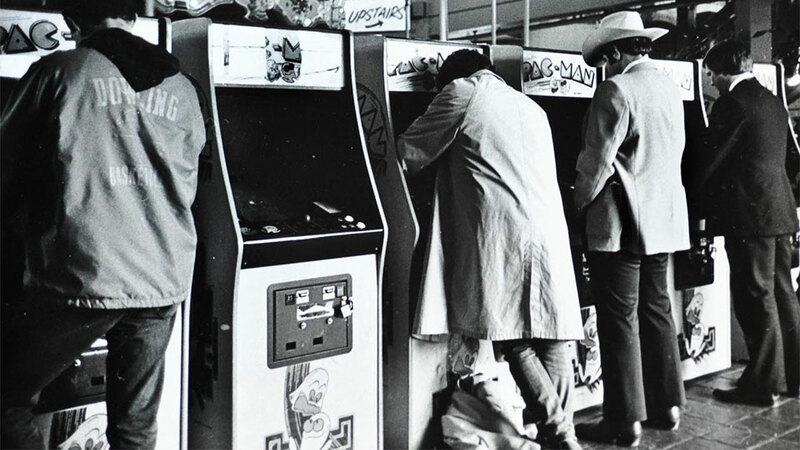 Between 1981 and 1982, renowned photographer Ira Nowinski hiked all over the Bay Area, taking hundreds of photos of arcades. In all, he snapped around 700 images, and in awesome news for retro gaming fans many of them are now available for viewing, courtesy of their acquisition by Stanford University's library. Once you're done looking at the games, and in particular that cruisey arcade that's nearly all cocktail units, get a load of the fashion. 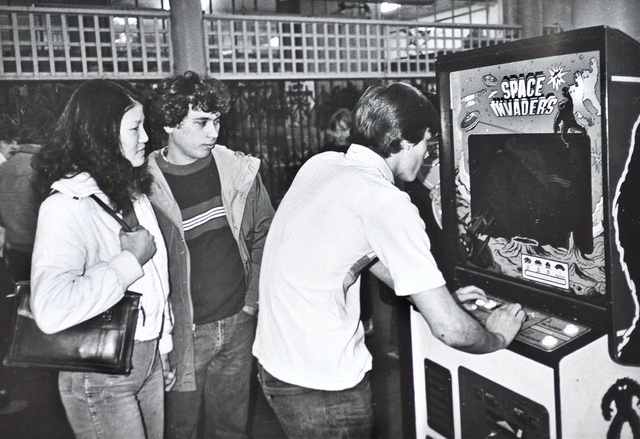 While arcades still exist today, they sure don't have the same diversity of clientèle you see here, like Mr. Texas on the Pac-Man cabinet up top. I’m not usually very political, but I recently joined the Resistance, fighting to protect the world against the encroachment of a strange, newly discovered form of energy. Just this week, in fact, I spent hours protecting Resistance territory and attacking the enemy. 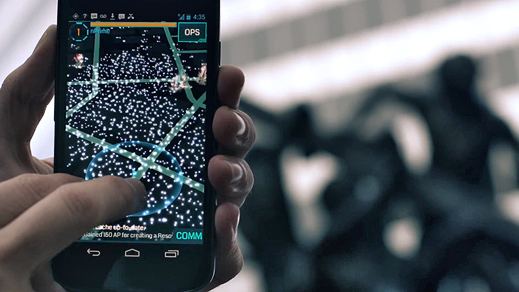 Don’t worry, this is just the gloomy sci-fi world depicted in a new smartphone game called Ingress created by Google. Ingress is far from your normal gaming app, though—it takes place, to some degree, in the real world; aspects of the game are revealed only as you reach different real-world locations. 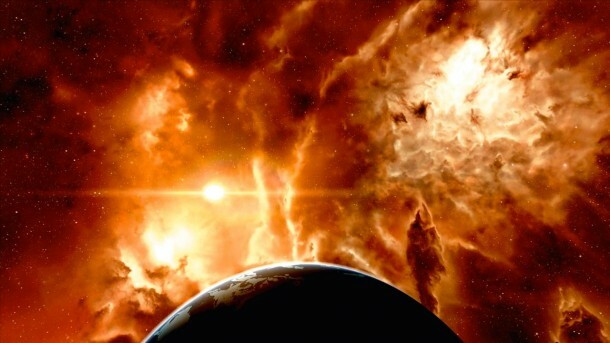 Ingress’s world is one in which the discovery of so-called “exotic matter” has split the population into two groups: the Enlightened, who want to learn how to harness the power of this energy, and the Resistance, who, well, resist this change. Players pick a side, and then walk around their city, collecting exotic matter to keep scanners charged and taking control of exotic-matter-exuding portals in order to capture more land for their team. I found the game, which is currently available only to Android smartphone users who have received an invitation to play, surprisingly addictive—especially considering my usual apathy for gaming. What’s most interesting about Ingress, though, is what it suggests about Google’s future plans, which seem to revolve around finding new ways to extend its reach from the browser on your laptop to the devices you carry with you at all times. The goal makes plenty of sense when you consider that traditional online advertising—Google’s bread and butter—could eventually be eclipsed by mobile, location-based advertising. Ingress was created by a group within Google called Niantic Labs—the same team behind another location-based app released recently (see “Should You Go on Google’s Field Trip?”). Google is surely gathering a treasure trove of information about where we’re going and what we’re doing while we play Ingress. 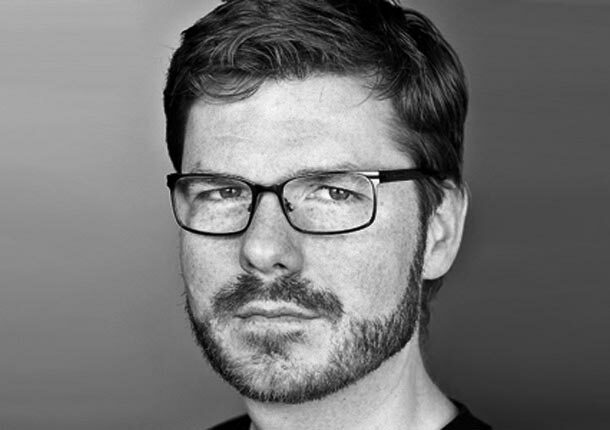 It must also see the game as a way to explore possible applications for Project Glass, the augmented-reality glasses-based computer that the company will start sending out to developers next year. Ingress doesn’t require a head-mounted display; it uses your smartphone’s display to show a map view rather than a realistic view of your surroundings. Still, it is addictive, and is likely to get many more folks interested in location-based augmented reality, or at least in augmented-reality games. 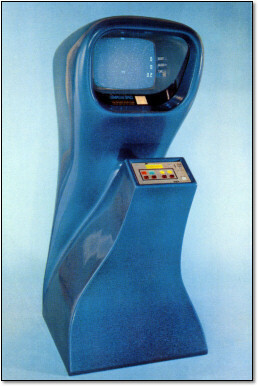 Despite its futuristic focus, Ingress sports a sort of pseudo-retro look, with a darkly hued map that dominates the screen and a simple pulsing blue triangle that indicates your position. I could only see several blocks in any direction, which meant I had to walk around and explore in order to advance in the game. For a while, I didn’t know what I was doing, and it didn’t help that Ingress doesn’t include any street names. New users complete a series of training exercises, learning the basics of the game, which include capturing a portal, hacking a portal to snag items like resonators (which control said portals), creating links of exotic matter between portals to build a triangular control field that enhances the safety of team members in the area, and firing an XMP (a “non-polarized energy field weapon,” according to the glossary) at an enemy-controlled portal. Confused much? I sure was. 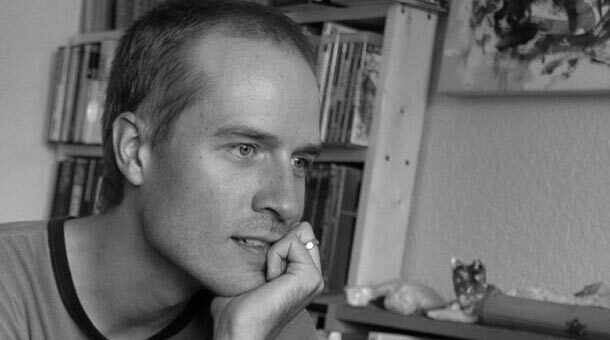 But I forged ahead, though, hoping that if I kept playing it would make more sense. I started wandering around looking for portals. Portals are found in public places—in San Francisco, where I was playing, this includes city landmarks such as museums, statues, and murals. Resistance portals are blue, Enlightened ones are green, and there are also some gray ones out there that remain unclaimed. I found a link to a larger map of the Ingress world that I could access through my smartphone browser and made a list of the best-looking nearby targets. Perhaps this much planning goes against the exploratory spirit of the game, but it made Ingress a lot less confusing for me (there’s also a website that doles out clues about the game and its mythology). Once I had a plan, I set out toward the portals on my list, all of which were in the Soma and Downtown neighborhoods of San Francisco. I managed to capture two new portals at Yerba Buena Gardens—one at a statue of Martin Luther King, Jr. and another at the top of a waterfall—and link them together. Across the street, in front of the Contemporary Jewish Museum, I hacked an Enlightened portal and fired an XMP at it, weakening its resonators. I was then promptly attacked. I fled, figuring I wouldn’t be able to take down the portal by myself. A few hours later, much of my progress was undone by a member of Enlightened (Ingress helpfully sends e-mail notifications about such things). I was surprised by how much this pissed me off—I wanted to get those portals back for the Resistance, but pouring rain and the late hour stopped me. Playing Ingress was a lot more fun than I expected, and from the excited chatter in the game’s built-in chat room, it was clear I wasn’t the only one getting into it. On my way back from a meeting, I couldn’t help but keep an eye out for portals, ducking into an alley to attack one near my office. Later, I found myself poring over the larger map on my office computer, looking at the spread of portals and control fields around the Bay Area. As it turns out, my parents live in an area dominated by the Enlightened. So I guess I’ll be busy attacking enemy portals in my hometown this weekend. Remember your first time being sick in front of a screen! What happened to innovative games? 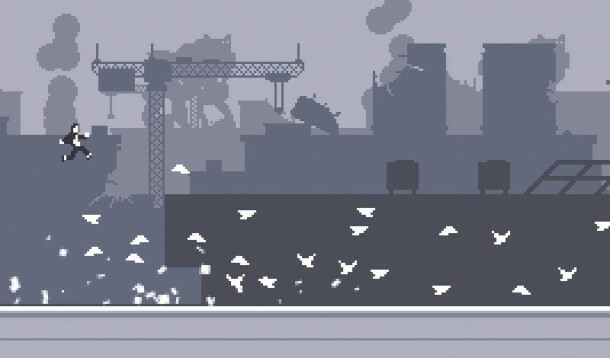 Indie developer Nimblebit dropped a PR bomb on Zynga yesterday with it’s letter addressing the similarities between their hit iPhone game Tiny Tower and Zynga’s upcoming release, Dream Heights. This galvanized the gaming community, with thousands of people, from prominent bloggers to gamers on Reddit criticizing the company. However, just after the new year, Atari ordered the removal of Black Powder Media’s Vector Tanks, a game strongly inspired by Atari’s Battlezone. This galvanized the community in a similar way, except this time, gamers were furious that Atari shut down an indie game company that made an extremely similar game. Some would even argue that the incredibly successful iOS game Angry Birds was a copy of the popular Armor Games flash game, Crush the Castle, but then Crush the Castle was inspired by others that game before it. 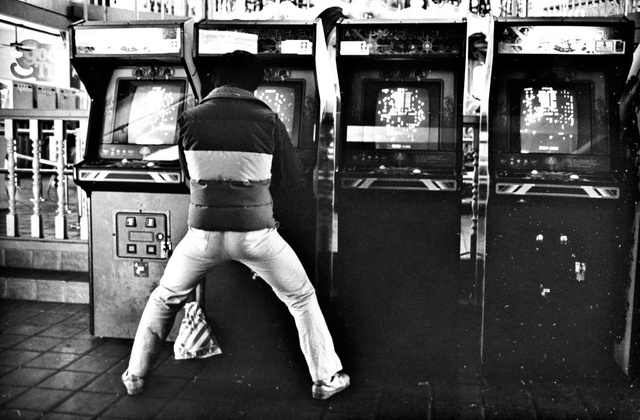 Social games even borrow many of their game mechanics from slot machines to increase retention. So what is copying, or more importantly, which parts of it are moral and immoral? Everyone seems to have a different answer, but it’s safe to say that people always copy the most successful ideas. The one thing that those in the Zynga-Nimblebit conversation seems to have overlooked is that everyone copies others in some way. Of course, while imitation may be the sincerest form of flattery, it doesn’t feel good to be imitated when a competitor comes after your users. In this case, people may question Zynga’s authenticity and make a distinction between inspiration and outright duplication. But at the same time, Zynga’s continued success with the “watch, then replicate” model shows that marketing, analytics, and operations can improve on an existing game concept. Or just give them the firepower to beat out the original game, depending on how you look at it. SAN FRANCISCO—One Sunday afternoon last month, a hundred boisterous patrons crowded into Mad Dog in the Fog, a British sports bar here, to watch a live broadcast. Internet e-sports like Starcraft2 have big-name pro players, announcers who broadcast matches, and millions of fans who'd rather watch the action online or in bars than play themselves. WSJ's Amir Efrati reports. Half the flat-screen TVs were tuned to a blood-filled match between two Korean competitors, "MC" and "Puma." The crowd erupted in chants of "M-C! M-C!" when the favorite started a comeback. The pub is known for showing European soccer and other sports, but Puma and MC aren't athletes. They are 20-year-old professional videogame players who were leading computerized armies of humans and aliens in a science-fiction war game called "Starcraft II" from a Los Angeles convention center. The Koreans were fighting over a tournament prize of $50,000. 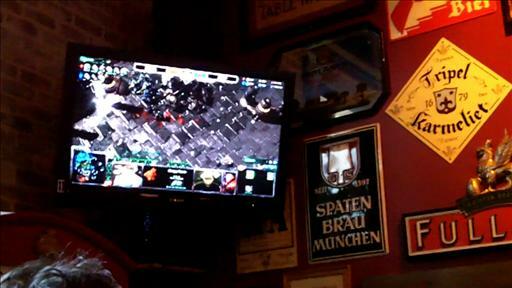 This summer, "Starcraft II" has become the newest barroom spectator sport. Fans organize so-called Barcraft events, taking over pubs and bistros from Honolulu to Florida and switching big-screen TV sets to Internet broadcasts of professional game matches happening often thousands of miles away. Fans of 'Starcraft II' watch a live game broadcast in Washington, D.C.
As they root for their on-screen superstars, "Starcraft" enthusiasts can sow confusion among regular patrons. Longtime Mad Dog customers were taken aback by the young men fist-pumping while digital swarms of an insect-like race called "Zerg" battled the humanoid "Protoss" on the bar's TVs. "I thought I'd come here for a quiet beer after a crazy day at work," said Michael McMahan, a 59-year-old carpenter who is a 17-year veteran of the bar, over the sound of noisy fans as he sipped on a draught pint. But for sports-bar owners, "Starcraft" viewers represent a key new source of revenue from a demographic—self-described geeks—they hadn't attracted before. "It was unbelievable," said Jim Biddle, a manager of Bistro 153 in Beaverton, Ore., which hosted its first Barcraft in July. The 50 gamers in attendance "doubled what I'd normally take in on a normal Sunday night." For "Starcraft" fans, watching in bars fulfills their desire to share the love of a game that many watched at home alone before. During a Barcraft at San Francisco's Mad Dog in July, Justin Ng, a bespectacled 29-year-old software engineer, often rose to his feet during pivotal clashes of a match. "This feels like the World Cup," he said. "You experience the energy and screams of everyone around you when a player makes an amazing play." Millions of Internet users already tune in each month on their PCs to watch live "eSports" events featuring big-name stars like MC, who is Jang Min Chul in real life, or replays of recent matches. In the U.S., fervor for "Starcraft II" is spilling into public view for the first time, as many players now prefer to watch the pros. 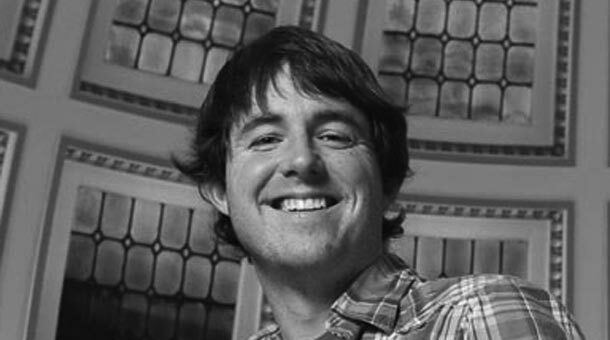 In mid-July, during the first North American Star League tournament in Los Angeles, 85,000 online viewers watched Puma defeat MC in the live championship match on Twitch.tv, said Emmett Shear, who runs the recently-launched site. The "Starcraft" franchise is more popular in Korea, where two cable TV stations, MBC Game and Ongamenet, provide dedicated coverage. The cable channels and Web networks broadcast other war games such as "Halo," "Counter-Strike," and "Call of Duty." But "Starcraft II" is often the biggest draw. The pros, mostly in their teens and 20s, get prize money and endorsements. Professional leagues in the U.S. and Korea and have sprouted since "Starcraft II" launched last year. Pro-match broadcasts often include breathless play-by-play announcers who cover each move like a wrestling match. (A typical commentary: "It's a drone genocide! Flaming drone carcasses all over the place!"). Barcraft goers credit a Seattle bar, Chao Bistro, for launching the Barcraft fad this year. Glen Bowers, a 35-year-old Chao patron and "Starcraft" fan, suggested to owner Hyung Chung that he show professional "Starcraft" matches. Seeing that customers were ignoring Mariners baseball broadcasts on the bar's TVs, Mr. Chung, a videogame fan, OK'ed the experiment. In mid-May Mr. Bowers configured Chao's five TVs to show Internet feeds and posted an online notice to "Starcraft" devotees. About 150 people showed up two days later. Since then, Mr. Bowers has organized twice-a-week viewings; attendance has averaged between 40 and 50 people, including employees of Amazon.com Inc. and Microsoft Corp., he said. The trend ended up spreading to more than a dozen Barcrafts across the country, including joints in Raleigh, N.C., and Boston. 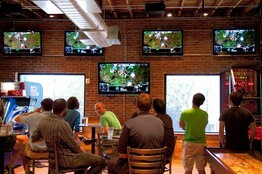 The "Starcraft II" game lends itself to sports bars because it "was built from the ground up as a spectator sport," said Bob Colayco, a publicist for the game's publisher, Activision Blizzard Inc. Websites like Twitch.tv helped "Starcraft's" spectator-sport appeal by letting players "stream" live games. Two University of Washington graduate students recently published a research paper seeking to scientifically pinpoint "Starcraft's" appeal as a spectator sport. The paper posits that "information asymmetry," in which one party has more information than the other, is the "fundamental source of entertainment."